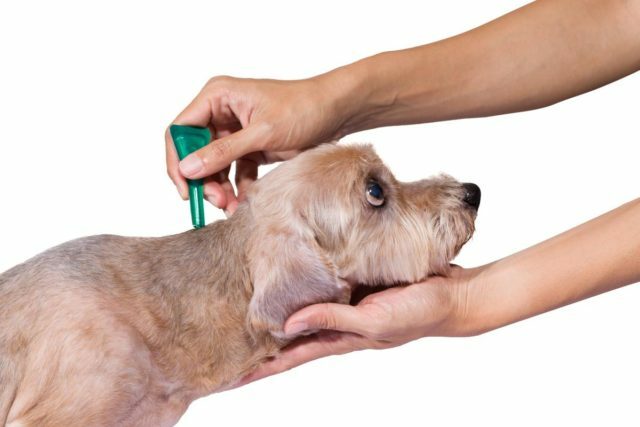 Just like humans, pets need repellent to protect them against ticks, as well as fleas. There are a number of different products with a variety of active ingredients. One important issue to consider when choosing a product is what kind of pets you have in your household. Some of the active ingredients – like permethrin – are fine for dogs and humans, but can be very harmful to cats. Another issue to think about is the make up of your property. If you have bodies of water with aquatic life on your property, permethrin might not be the best choice of tick repellent for your pet, because it is extremely toxic to fish and other marine animals. So, if you have a body of water on your property that your dog does (or could) jump or fall into, bring that up to your vet. We are only after ticks, not fish! Likewise, if you keep bees, you will likely want to avoid permethrin because it is also toxic to bees. Only you and your vet know what is best for your pets, so consult with your vet about the best options for tick control for the animals you hold dear.